A favorite among Dubli.com customers, Shopbop offers luxury at its finest for global consumers. The go-to online retail destination for modern style, Shopbop offers a comprehensive, hand-picked collection of apparel and accessories from the industry’s foremost contemporary and designer labels. Since its launch in 2000 as a denim-focused e-commerce platform, Shopbop has grown into one of the world’s leading fashion authorities. Along with renowned customer service, Shopbop delivers unparalleled wardrobe advice, cutting-edge editorial lookbooks, innovative features, and exclusive collaborations with forward-minded brands. The result is a highly personalized, satisfying, and—above all—fun shopping experience that caters to style-minded women around the globe. In 2006, BOP LLC was acquired by Amazon.com, Inc., the world’s largest internet retailer, enabling Shopbop to expand its services to enhance the customer experience. A trusted, globally recognized fashion merchant, Shopbop sells only quality, authentic designer merchandise. Shopbop is part of the Amazon.com Inc. group of companies which allows them to offer Prime’s shipping services to shoppers. Shopbop offers up a delish mix of luxury apparel, shoes and accessories and features a variety of dedicated segments on its website that recommend and advise shoppers on the latest and greatest in fashion trends. Check out Shopbop this month where they are featuring Pre-Fall Trends, a curated set of trends including vibrant hues, western wear and what appears to be a tendency on outdoorsy patterns. We are seeing many floral and plaid designs with an emphasis less on form-fitting styles and more on flowy, carefree and relaxed pieces. We just love this Alexander McQueen Patch Tartan Shirt Dress…couture with a casual flair! Oh, the gems we will find! While fashionistas across the globe are already well-focused on FW18, in reality, it is still summer. For fresh summer picks, visit Shopbop’s “Spot On” collection for a variety of treasures that feature polka dots. From breezy skirts to cute summer mini’s and polka dot adorned sneakers, spots are definitely on. (Pun intended.) Couldn’t you just die for this Marc Jacobs polka dot mini dress? 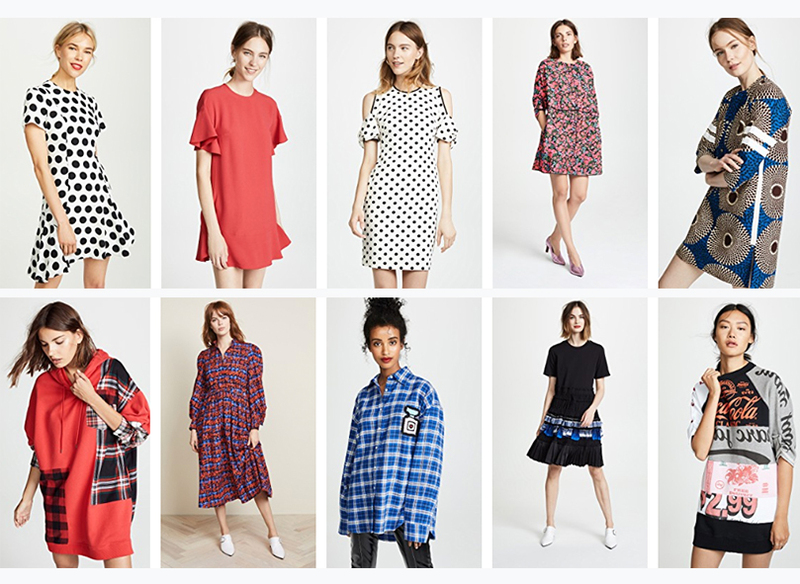 We could go on forever with all our fave finds on Shopbop…if you’re still in summer mode also have a look at Shopbop’s “Dress Refresh” for cool summertime prints and fabrics and their Closet Dossier of Chic Shorts to keep you seasonably on-trend with a relaxed look. Find Shopbop on Dubli.com and earn up to 3.2% Cash Back on all these fabulous finds. Science + Engineering + Agility = Yaasa…It’s Time To Adjust To A Better Night’s Sleep!